From KnoxNews – What’s the fine for parking in a handicap spot in Tennessee when you are not allowed to? How about being ran over! Devon Beal Kiss, 24, ran over Thomas Esposito after Esposito told Kiss, “None of your frickin’ business!”, when asked, “Why are you parking in a handicap spot?” Tennessee should give Esposito a handcap parking pass now. From Ford – Another one bites the dust. Ford has officially dropped Mercury. Who is Mercury you ask? Well, remember the Mercury Cougar? Yea, that’s probably the only Mercury you’d recognize. I am suprised that Mercury was dropped after Pontiac. There are alot more memorable Pontiacs than Mercurys. Another great Kia commercial. Enjoy! 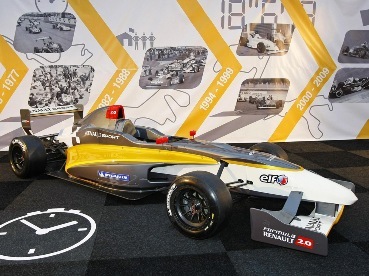 From BBC – Robert Kubica signs with Renault to race in Formula One Racing for 2010. Kubica originally raced for BMW Sauber since 2006, and has had only one victory (2008 Canadian Grand Prix). It will be interesting to see how well Kubica will race next year against top competitors Jenson Button, Sebastian Vettel, Lewis Hamilton, Fernando Alonzo, and Michael Shumacher. From Cobra.com – Cobra just announced the launch of their new full color touch screen radar detector. The touch screen provides a graphic interface that makes it easier to set up the radar detector. Does touch screen really make radar detetors that easy to set up? Most radar detectors that I’ve seen only have one button. 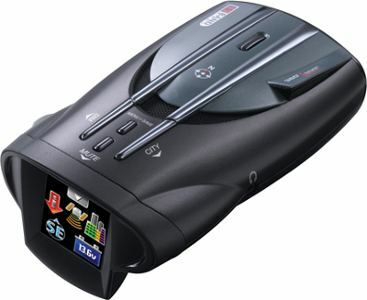 The touch screen radar detector is Cobra’s first radar detector that costs under $200. From OCRegister.com – On January 15th and 16th, Orange County Race-Craft, a high perofmrance driving school, will allow supercar owners to learn how to learn the capabilities and limitations of their vehicles. This event came about after the many supercar accidents that have been occuring in Orange County over the past year. Owners can sign up at ocracecraft.com.